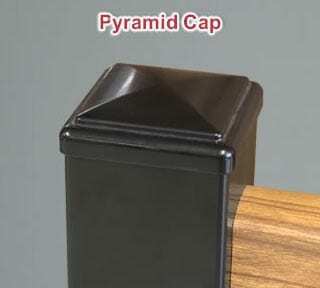 The Grand Railing has the same features as our Royal but it has a round top rail that some find more comfortable to the hand. 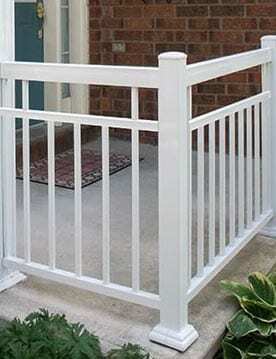 For taller railings an Aluminum Hand Rail can be added for extra safety and security on steps. Larger Posts are often the perfect upgrade to complement the architecture of your home. An Angle Mount is the answer when the angle between panels is more than a 90° corner. Rails are Custom Bent, a helpful option when there are existing posts set back from the edge of steps as shown in the above diagram. Without the bend, the bottom rail would have to attach higher up on the post (see dotted red line) to clear the lip. The bend puts the system back in line. 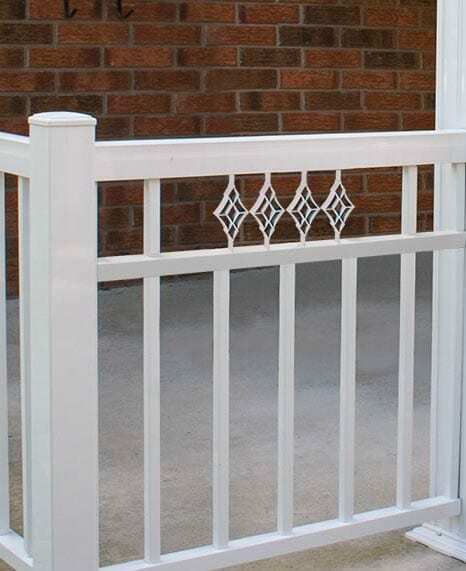 The Bellied Picket upgrade is only available for 36″ and 42″ high railings. The pickets nearest the posts extend through to the top rail and the rest of the pickets stop at the lower rail. Prices start as low as $92/ft fully installed.